As a qualified spiritual counsellor and award-winning Tarot reader, my life is all about helping people to make sense of their choices and own their power in amazing ways. 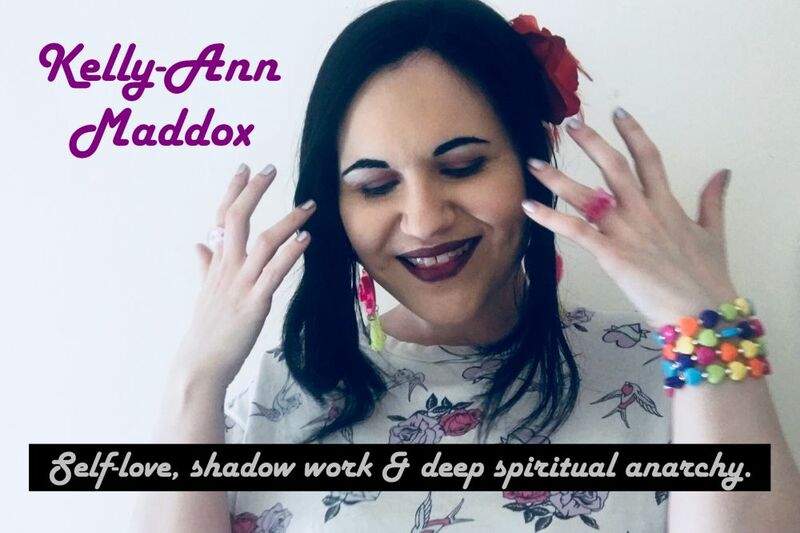 Amongst other things I facilitate emotional healing, interpret dreams, strengthen spiritual wisdom, create action plans for success and help people connect with their deepest and most sacred archetypes. My counselling style in intuitive, meaning that I may use anything from chakra guidance and meditation advice to cognitive behavioural therapy and positive psychology techniques. I permit my higher mind to lead the way, pulling together the most useful input for the needs of each individual. The cards are my most cherished tool. They help me to direct my guidance appropriately and peel back the layers of confusion to reveal a plethora of possibilities and pathways for my clients. In this blog post I will share ten key reasons to purchase a Tarot reading or counselling session. These points will help you decide if you are ready to take a gorgeous leap of faith and develop a more meaningful relationship with yourself and the world around you though opening up to guidance from the cards and the person behind them. Purchasing a reading is an important investment with long-term benefits. It helps you to clear the clouds and get laser focused! Conscious change comes from a conscious place. If you are seeking that state of conscious awareness, read on..
1. Are you struggling to make important decisions? It can be difficult to make empowering choices, especially when there seem to be pros and cons in both directions. You may worry about how other people will respond to the choice you make. You may experience analysis paralysis as you fixate over the possible long-term consequences of any decisive action. But remaining in a constant state of standstill isn't conducive to living a good life. Advice from friends and family may not be impartial enough and sometimes it's hard to trust your own judgement, especially when your ego and your higher mind seem to be playing tug-of-war with your heart! A Tarot reading or intuitive counselling session can offer guidance which is meaningful and useful but also objective and empowering. Feeling able to take charge of your life without apology is priceless. If you need to find your power and use it positively, there is an illuminating combination of Tarot cards just waiting to make your acquaintance and show you what's possible. 2. Do you need to heal yourself, forgive others and release the past? Are you carrying the past around with you? Do negative memories serve to clip your wings and leave you feeling worthless or insecure? Are you filled with anger over someone's transgressions? Do you live in the past more than you live in the now? Tarot is filled with beautiful advice points to enable total liberation of mind, body and spirit. The themes of release, forgiveness and healing run through all of the suits in the deck, serving to inspire and encourage you as you step out from under the shadow of your personal history. Emotional independence is your birthright. If you need to break down your childhood conditioning, make sense of painful memories and leave the past where it belongs, a reading could serve as the keystone for your important inner work. 3. Do you have a heart-centred business vision? Now more than ever before, it's a great time to think like a solopreneur! Taking charge of your life through turning your creative vision into a lucrative business is 100% joyful! But if you're dealing with low confidence or uncertainties about where to start, you may find that outside guidance helps you to put the jigsaw together. Many people who set out on a journey towards running a successful business aren't quite sure what their strengths are and how to use them. Some struggle to understand where their business fits into the marketplace or how to build and promote it without losing their sense of integrity. If you're tired of reading sales advice and tips on how to leverage social media, the chances are that you're probably in need of deeper insights and tailored business guidance. If your business comes from your heart, don't let it get lost in the crowd. Celebrate it and allow it to thrive. 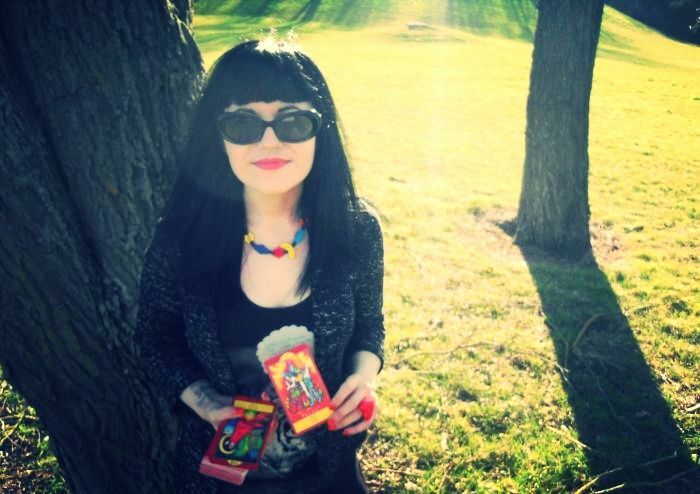 Let Tarot inspire you! 4. Are you experiencing conflicts or misunderstandings? When drama and tension seems to surround you, it's hard to figure out how to defuse it and move on. You may wonder if you are unwittingly doing something to invite it. You may struggle to see how you can deal with it decisively and still stay true to your principles. If you are worried about an argument or misunderstanding in your life, Tarot's sacred lessons of conflict resolution, honest communication and diplomacy can help you create a solution and get back to the business of living. Human dynamics are complex and confusing. Sometimes we need to take a step back from the tangled web and get a holistic sense of the bigger picture. Only then can we act in our best interests and cultivate a lasting peace. 5. Could your romantic relationship do with a boost? Relationships require concerted effort and conscientious action to help them thrive. Over time, you may notice that you're experiencing negative thinking patterns which serve to damage your partnership. You may worry about the staying power of your relationship or wonder what you can actively do to help it grow. Tarot and spiritual counselling serve as tools for understanding and harmony in your romantic connection. Working from a person-centred perspective, you can learn about your own relationship style and how to use it to your advantage. You can release old habits, dissolve your insecurities and get clear on the path you want to take in your love life. 6. Are you confused about who you are and what you want? Your sense of identity is influenced by all kinds of factors including your upbringing, the society around you and your ability to understand your true nature. As a complex being with an oceanic psyche, it can be hard to find your sense of self underneath all those layers of thought and feeling. Tarot offers a symbolic approach, helping you to draw on your key archetypes, elemental strengths and fundamental personality traits. Tarot contributes to shadow work, release work and radical acceptance. It helps you to build a deeper connection with your heart and mind. If you want to hone a stronger sense of identity and self-acceptance, a Tarot reading is a worthy and illuminating investment. 7. Do you need to unlock your confidence? It's time to fall in love with yourself and allow yourself to thrive! The more you can identify your strengths and abilities, the more you can put them to work in your life. Struggling with low confidence creates pain and frustration in all areas of life. If you are watching your desires slip through your fingers whilst you convince yourself that you're not good enough to make them into reality, it's time to get serious about seeking guidance. Unlock the confidence you need to make bold moves and reach for your sacred visions. Whatever is holding you back can be faced down! Tarot is overflowing with lessons about owning your power and taking control of your destiny. If you have gorgeous ideas about what you could achieve then you have what it takes to help those ideas manifest. 8. Are you experiencing a chaotic shift? Change can be messy, inconvenient and overwhelming. Your personal evolution is a wave which you can learn to ride with grace and patience. Don't let the water submerge you! Tarot is full of good surfing advice for those who are shifting into a new state of being. It can teach you how to let go of the old version of yourself and embrace the new one. It can offer strategies for closing the book on what no longer serves you and letting the light in where it's needed. An unpredictable shift in perception can leave you feeling unstable and insecure, but it's really an event to be embraced and celebrated. Tarot teaches us so many things about the true nature of change and growth. 9. Has traditional counselling failed you? Everyone's different. What works for one person may not necessarily work for another. When looking for the right kind of guidance and support, it's important to consider your individual needs. If you live life from a spiritual perspective, you may find that some traditional counselling routes don't cater to your requirements. Intuitive counselling offers a tailored prescription. 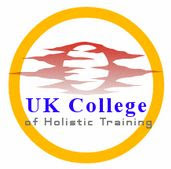 It combines techniques to help you heal from the past and plan for the future whilst taking your spiritual and emotional outlook into account. An intuitive spiritual counsellor acts as an ally, facilitator and guide whilst encouraging you to take the lead in your life and own your power. Personhood is central to my practice. I believe that each person has a complex set of requirements and that 'running people through the mill' with only one method is a denial of their right to discover what really works for them. 10. Are you ready for a deeper connection to spirit? Your spiritual journey is beautiful, rich and unique. If you want to see it expand and deepen, Tarot's lessons could be integral to its advancement. The sacred language of the cards can help you to create a meaningful practice and connect with source on your terms, through your eyes. Deconstructing and rebuilding your beliefs about divinity can be challenging, especially when you have been raised with indoctrinated ideas about the nature of god. It is my belief that everyone is entitled to think of their spirituality as an autonomous zone - no compromises, no propaganda. A meaningful and purposeful spiritual pathway is yours to craft in whatever way you wish. Give yourself the ultimate permission to own your relationship with source and, by extension, with yourself. To purchase an email reading, Skype session, e-book, e-zine or Tarot mentoring session check out the options on my Etsy shop.